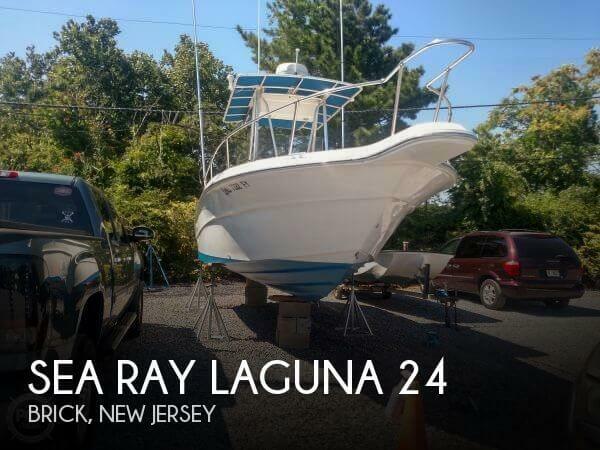 1995 Sea Ray Laguna 24 Center Consoles Always local fresh water 2 owner boat. Current owner for the last 16 years. 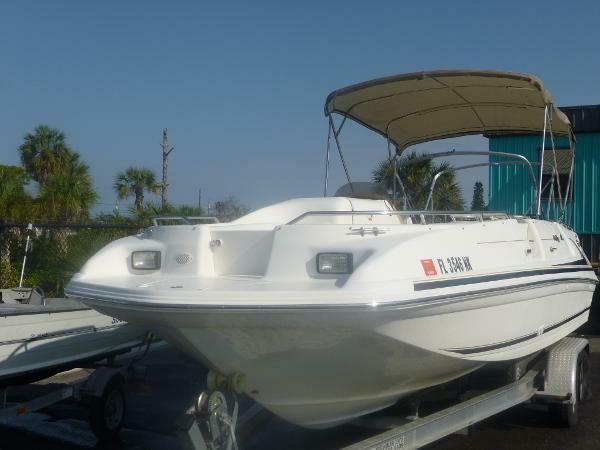 Full mooring cover, large Bimini with front and side curtains, console cover, seat covers and motor cover. Pump-out head, bait well, wash down, New Simrad Go7 chart plotter. Lower rebuilt 7 years ago pressure tested 2016.Water pump 2016. 4 blade SS prop. Must see!! 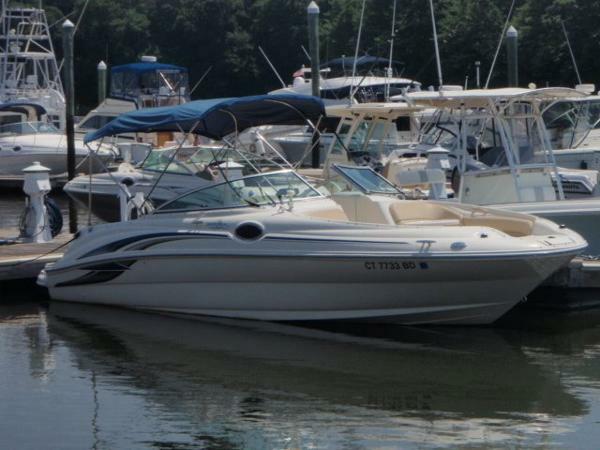 2010 Sea Ray 24 sundancer Here is a great cruiser for the family with plenty of room inside. 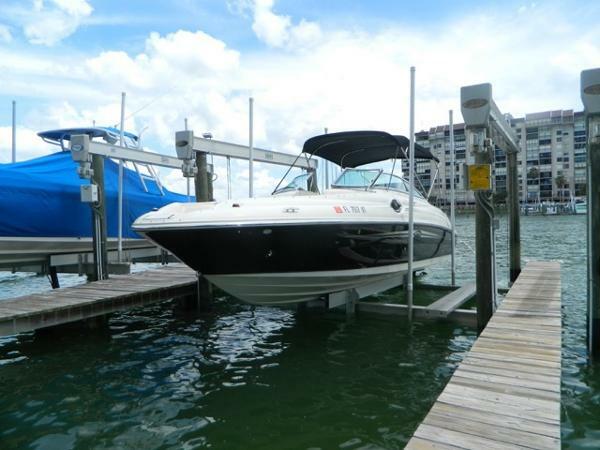 The boat is equipped with plug in air, water heater, stove top burner, fridge, sony stereo. 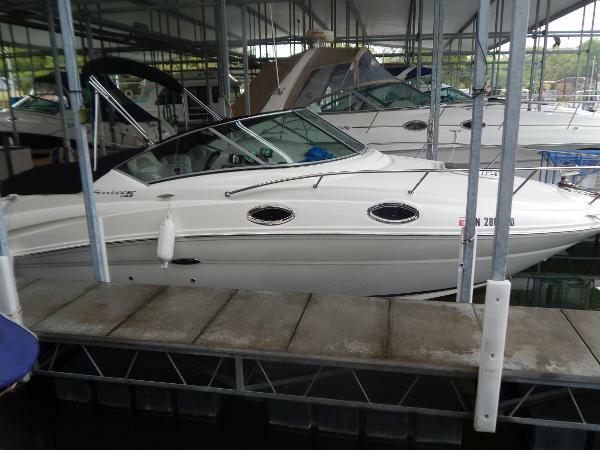 The boat also has the upgraded 350 mag with the bravo 3 drive. 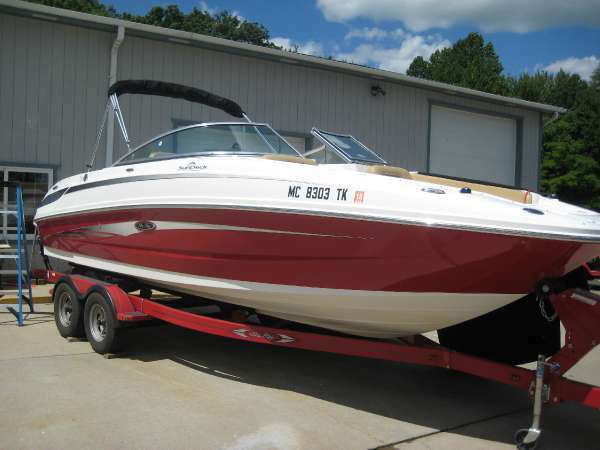 This boat is in great condition and always in fresh water and under cover witch makes it shine like new. 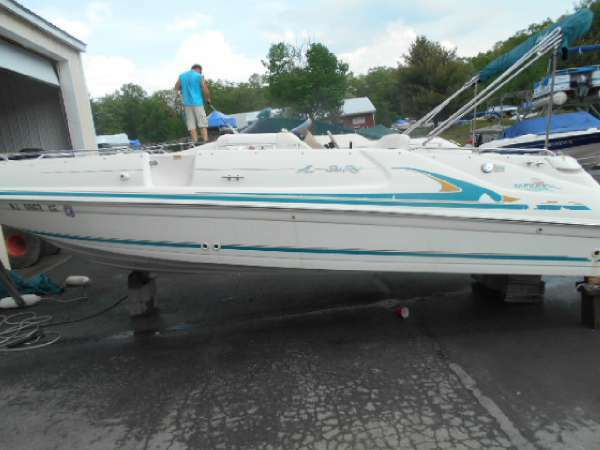 1987 Sea Ray 24 Sorrento This newly listed 1987 Sea Ray 24ft Sorrento cuddy cabin features: Mercruiser 5.7ltr I/O, bimini top, cabin with porta potty, twin back to back seats, stereo, and depth sounder all sitting on a EZ loader roller trailer. 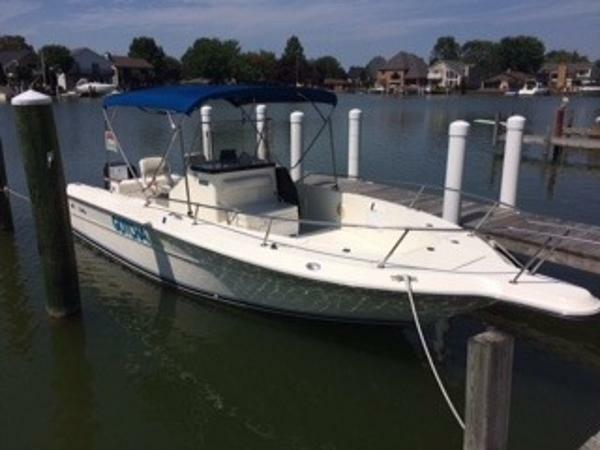 This boat has been actively used by seller and has a good maintenance record. Make sure you view the full specs for standard and optional features including a good set of photos to "show you around" ! 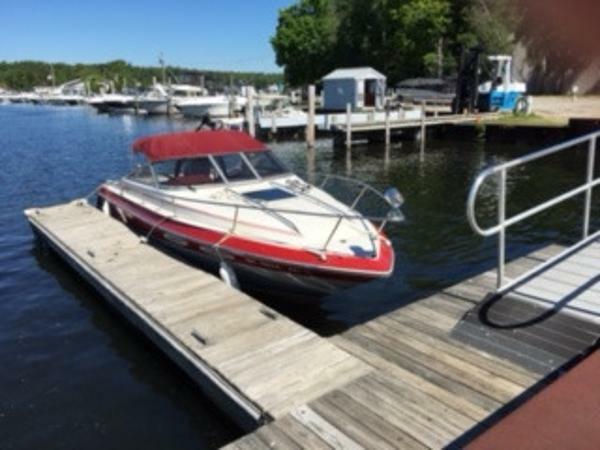 1987 Sea Ray S24 Sorrento 1987 Sea Ray S24 Sorrento Enjoy the lake aboard this 1987 Sea Ray S24 Sorrento powered by MerCruiser 350 V8. 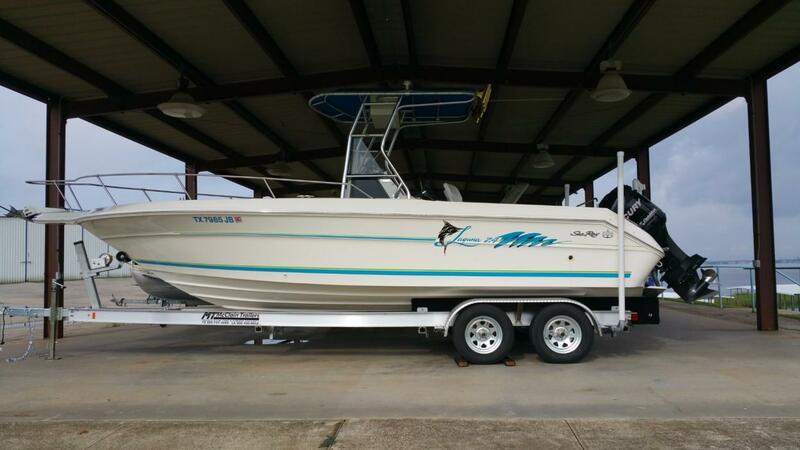 Notable features include stereo, depth sounder, compass, fish finder, canvas covers, head with pump out, dual batteries with on/off switch, galley with sink, life vests, dock lines, anchor and more! 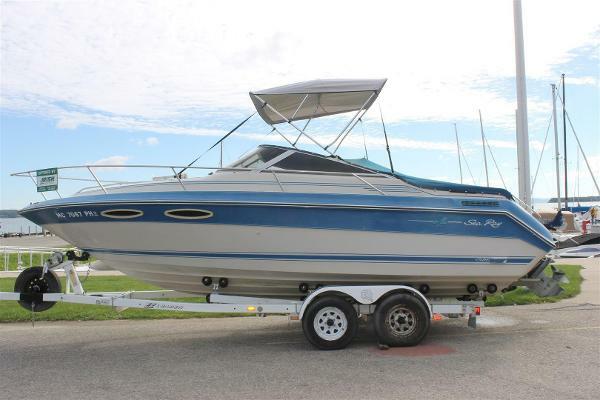 1988 Sea Ray 24 Sorrento This is a great day boat with overnight capabilities. 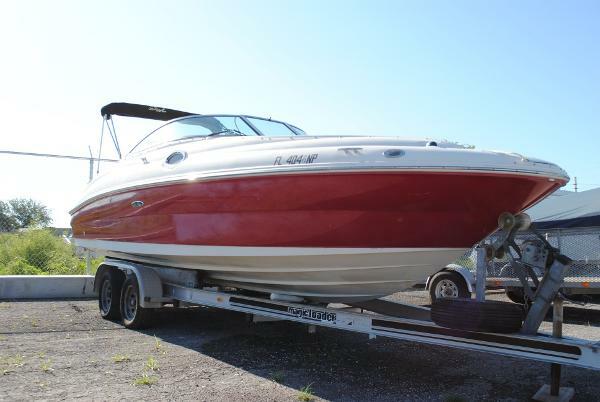 It has a MerCruiser 5.7L Alpha 250hp with only 208 hours of freshwater use. 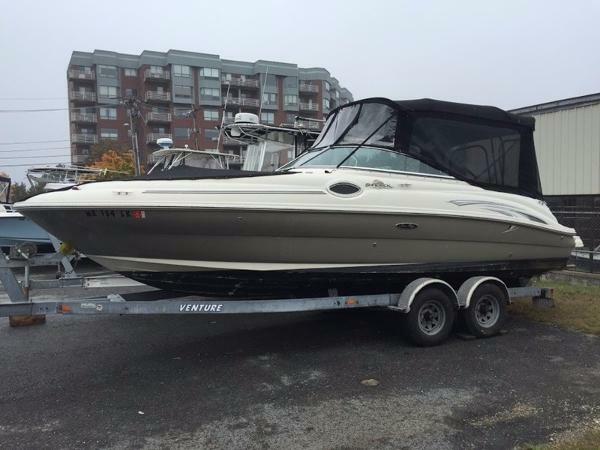 It also comes with trim tabs, depth finder, compass, stereo system, pump out porta potti, convertible canvas top, mooring cover, snap in carpet and removable spotlight. This boat needs a little TLC in the upholstery, the hull is in good shape as well as the canvas. The engine runs great. 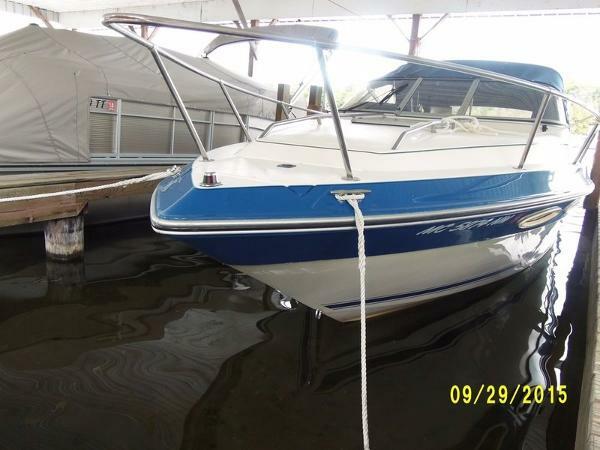 1988 Sea Ray S24 Sorrento 1988 Sea Ray S24 Sorrento 1988 Sea Ray S24 Sorrento powered by a 5.7L MerCruiser. 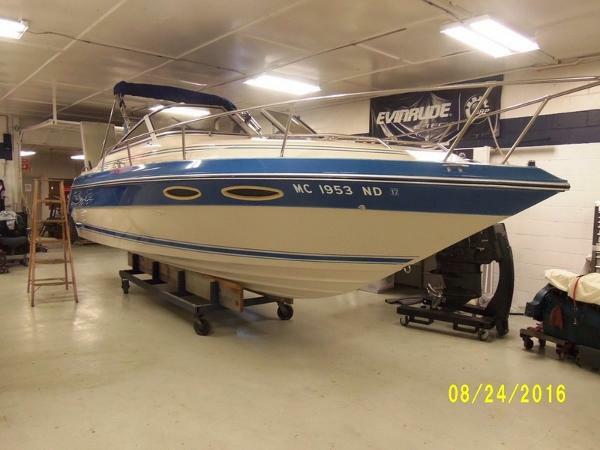 Notable features include stereo, compass, trim tabs, snap out carpet, ski tow bar, camper canvas, head with pump out, and more.